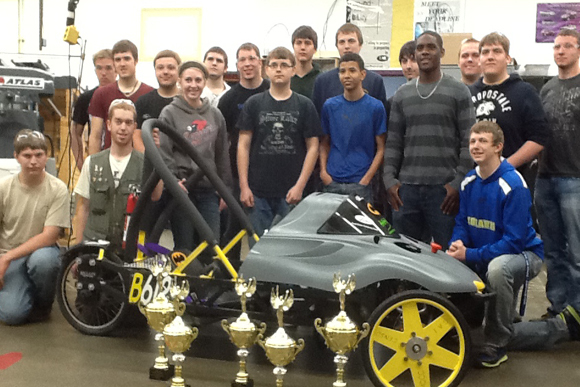 IDI Composites International helps students at Mecosta-Osceola Career Center use UV Cure SMC and Carbon Fiber Composites to make car parts for an all-electric racecar. Imagine being a high school student, but instead of the traditional math or science courses, you're acquiring skills such as building solar panels, installing wind powered systems and designing electric cars to race at Michigan International Speedway. Jake Adams and Larry Landis from IDI Composites International recently traveled to Mecosta-Osceola Career Center's Innovative Engineering program in Michigan to help students learn how to use UV Cure SMC and Carbon Fiber Composites to make car parts for their electric racecar. The unique course is taught by Doug Ward, who has 14 years of experience working as a program engineer and plastic manager, primarily in the automotive industry. “Teaching kids about alternate materials to traditional steel or aluminum parts helps to open their minds to thinking about problems differently - it helps to prepare these future engineers to become innovators in their fields.” says Larry Landis. Once their car is complete, the kids will take it to Michigan International Speedway, adorned with IDI Composites logos to compete with other schools in Square One's Innovative Vehicle Design event for the most durable and efficient car. 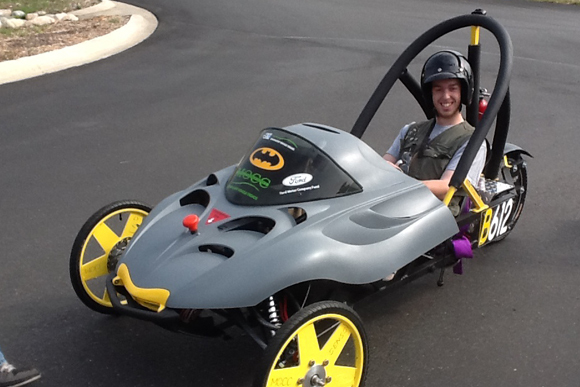 The competition focuses on energy management, cars can only accelerate up to 35 miles per hour. This year, the competition will be held at Belle Isle in Detroit. Students will have access to the racetrack around the same time Detroit hosts its Indy-car race, bringing in sponsors for the high school event, such as Penske.